The MINI Countryman is already known as a force to be reckoned with, but there are even fewer vehicles out there that can match the newest special edition Countryman’s appeal. The debut of the brand-new MINI Countryman Park Lane, which occurred earlier this month at the Geneva International Motor Show, provides the public with a premium quality MINI that is sure to turn heads, no matter where it goes. This special edition Countryman offers a specially developed design and color concept with an Earl Grey metallic finished combined with a new vibrant Oak Red roof. Chrome accents make an appearance throughout the vehicle’s exterior, finishing with 18-inch light alloy wheels. Inside, the vehicle offers five seats, including a shifting rear seat. It also has plenty of cargo space, making it a top choice for those consumers looking for a unique vehicle to transport them around town. 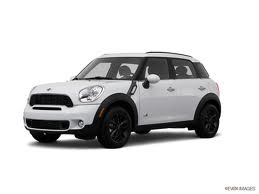 While you have to wait to see the MINI Countryman Park Lane model for yourself, you can still stop in to MINI of Pittsburgh today and get a first-hand look at our spectacular lineup!